One-of-a-kind houses have one-of-a-kind problems. A custom house can be exceptionally beautiful and exceptionally well-suited for its primary purpose. But, that same house could be poorly suited for everyday living. How do you decide if a one-of-a-kind house works for you? Case in point: One of my clients purchased a house that was originally built as a summer house. 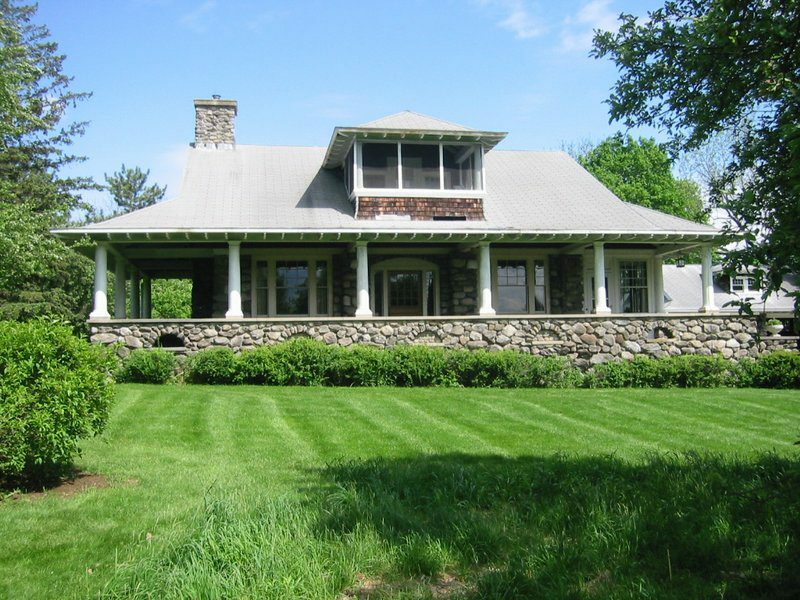 It sits atop a hill overlooking a beautiful meadow. It has some spiffy, turn-of-the-century, passive ventilation. (There was a hatch that opened from the second floor into the attic and allowed the hot air to rise out of the living areas. It had several sleeping porches.) 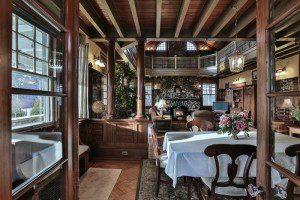 What makes it exceptional is the woodwork and style of the billiard room and living room. 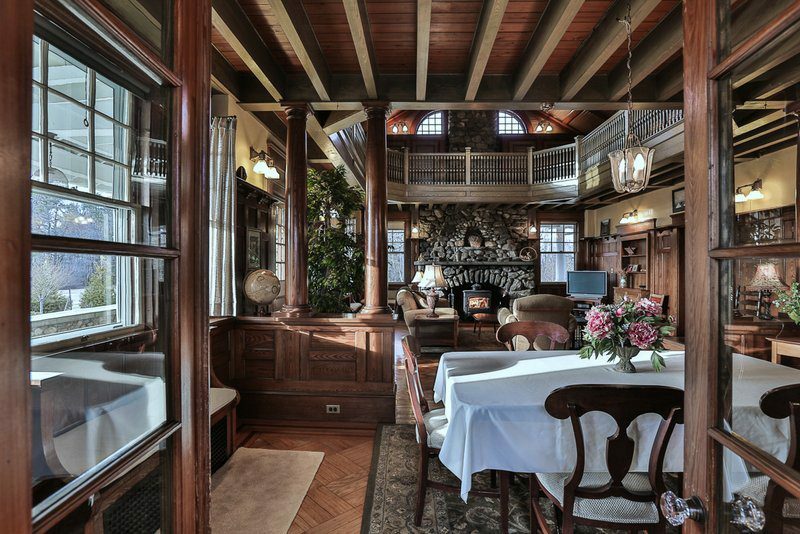 There is a large mantel, leaded glass, inlaid wood flooring, custom railings, and carved stair banisters. Outside it has a grand, stone wraparound porch, a sweeping driveway beyond the entry gate, and even a brass post for tying up one’s horse with a horse head statue on top. But, the kitchen was designed for the servants to work in. It is small, cramped, and poorly ventilated. The servant bedrooms are tiny and had been combined into one large room beside the kitchen. The guest bedrooms are still small, since they were designed for part-time use and there is no room to expand. The heating system is a poster-child for inefficiency. None of the deficits I mentioned are one-of-a-kind. Many houses have small rooms that an architect can help to combine efficiently. Many houses have old, inefficient heating systems. What work and attention do these special houses require? What’s this? 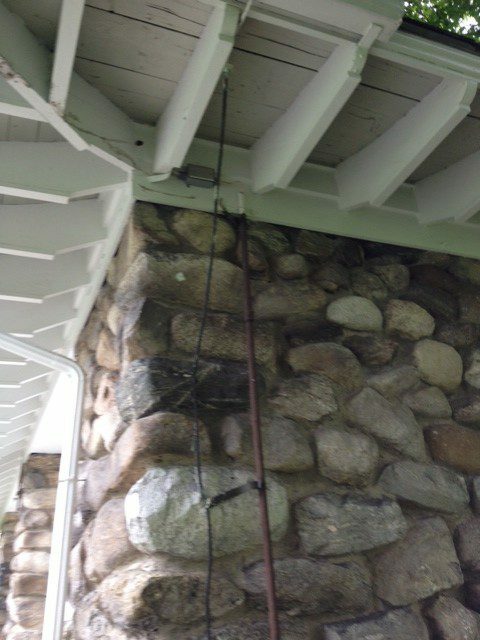 The wires go into the ground and also above the roofline on a pole. Can you guess? Who guessed that it’s a lightning rod? If you own this house, you need to find a lightning rod inspector. There is one in Dedham. 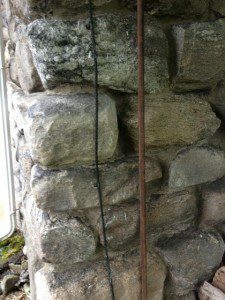 If you own a house like this, you need to make the acquaintance of a good stone mason to keep up with this beautiful and special foundation and building stone. Is it worth it? My client emphatically says, “Yes!” I think they are making the right choice.